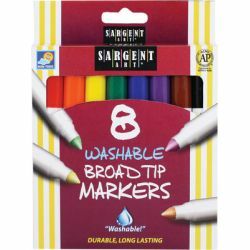 Vibrant color markers have ventilated caps. Great for writing and drawing. Washes from fabrics and skin with soap and water. A staple art supply for home or the classroom.